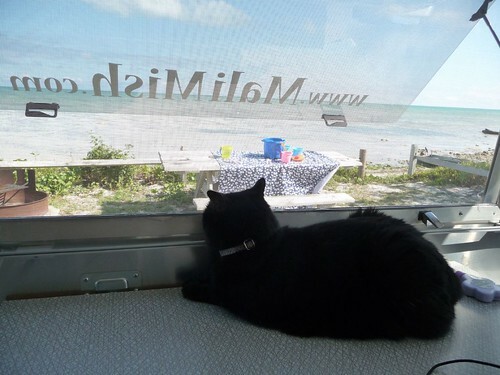 Mali Mish – Day 65: Long Key State Park. Day 65: Long Key State Park. 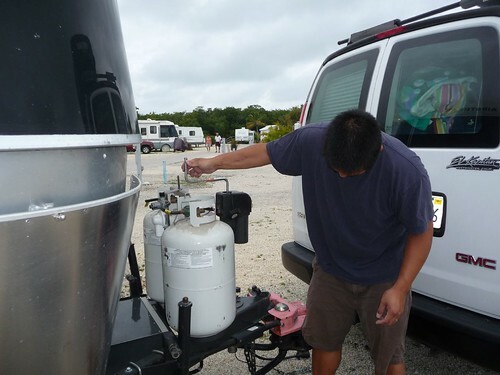 Today as we were packing up to head out of Sunshine Key Resort, Dan ran into a little issue. The tongue jack stopped working. Oh oh. The jack would not lift up with the aid of a little handy dandy switch. Today Dan had to do it manually. And finally put those muscles to work! So he had to remove the propane cover, bust out a little tool that’s been sitting in our bumper storage compartment and crank that sucker by hand. And all together now…. ahhhh, poor Dan. But all those curse words were well worth it when we arrived to our next destination. Long Key State Park! 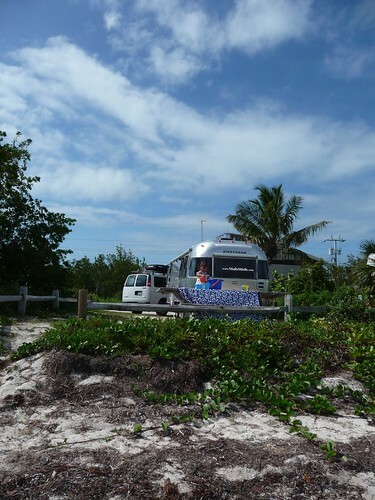 Finally, the destination that we were hoping and wishing for during our stay in the Florida Keys. 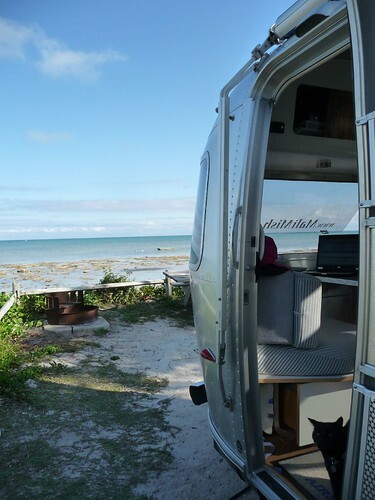 Oceanfront camping. Our own little piece of paradise for the next 3 nights. As Dan and I were prepping the campsite and lunch, the girls (all 3 of them) hung out in the “living room” together. Ava with her “keep these away from Mila” toys and jewelry. Mila with her hand me down infant toys. And Yoda as happy as can be with a pile of beach towels on the floor and a view of leaping lizards and blackbirds. 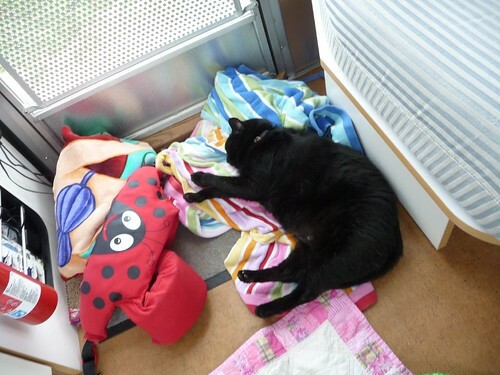 Slowly but surely, Yoda laid down and took a much needed nap… on the beach towels we were ready to use. Doh! And it was time for Mila’s nap too. But as you can see it took her awhile to actually fall asleep. She thinks practicing her new crawling stance is much more important than catching a few winks. Once they were both asleep, Ava and I snuck outside for some Mama and Me playtime. 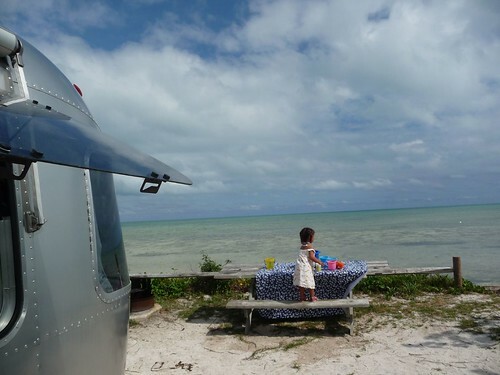 Did I mention that Long Key is awesome? Look at our site! And look at our view! We are literally steps from the ocean. Our cat Yoda loves it here too. She usually keeps to herself in the bedroom during the day. But not at Long Key. 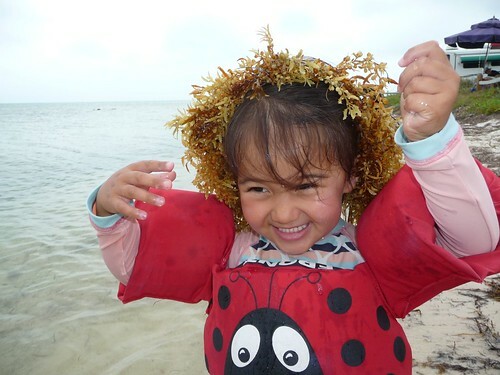 At Long Key, she was itching to sneak away for a swim. Sorry Yoda. No skinny dipping for you today. 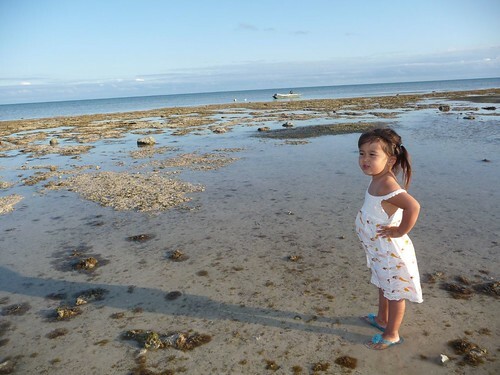 In the evening hours when the tide started to go out, Ava wondered where the ocean was going. 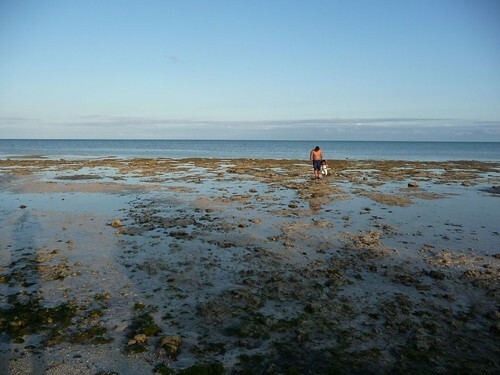 So we reassured her that the ocean will be back in the morning and took plenty of walks to see all the animals that make their home in front of our campsite. 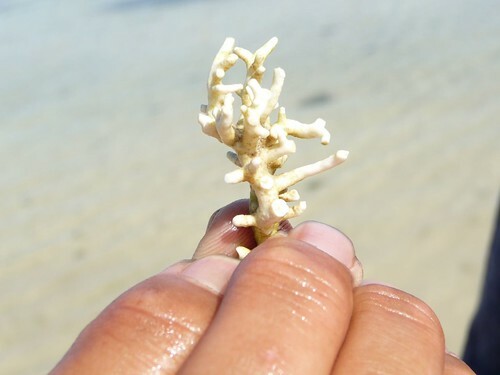 We saw plenty of sea grass and hermit crabs… and lots of itty bitty pieces of coral. That’s all for today. As you can tell, we were really busy doing nothing. Just as we hoped. Day 66: Just another day at the beach. 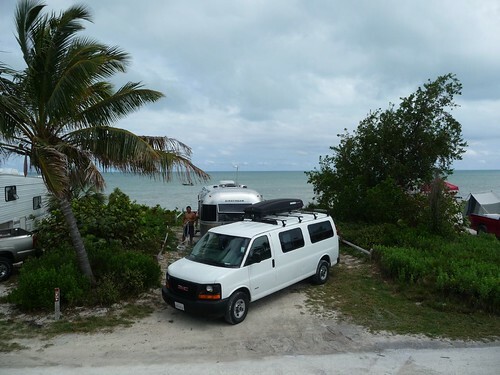 3 Responses to Day 65: Long Key State Park. Such a beautiful site! I can not believe Mila is getting ready to crawl and walk soon! Our “handy dandy switch” on our jack died earlier this year and that little tool in our bumper compartment saw a lot of use and heard a lot of curse words. What a pain! 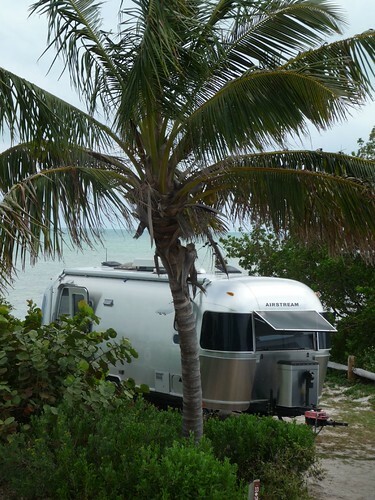 Thankfully, a local Airstream service department fixed our problem. Just saw the MaliMish on Rt. 82 in Macedonia, OH. Great story! Safe travels.